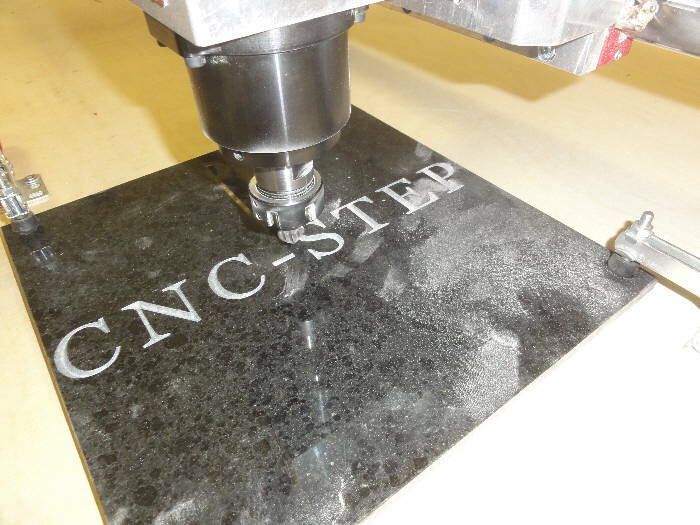 Photos and videos on the topic: 3D V-Carving / thinning in massive stone, granite Nero Assoluto or Impala with the CNC milling machine RaptorX SL. 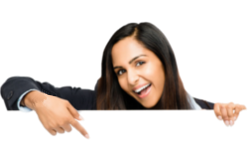 The contribution is aimed specifically at stonemasons and stone processing plants! 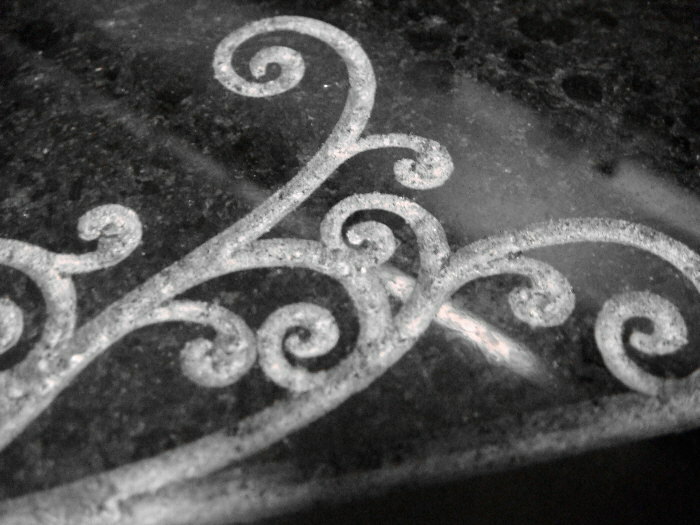 We engrave using the 3D CNC milling machine / engraving machine RaptorX SL with a special VHM 90 ° bit in massive granite Nero Assoluto. The infeed has been generated with 3mm depth by the software ConstruCAM-3D relating to the size of the letters! 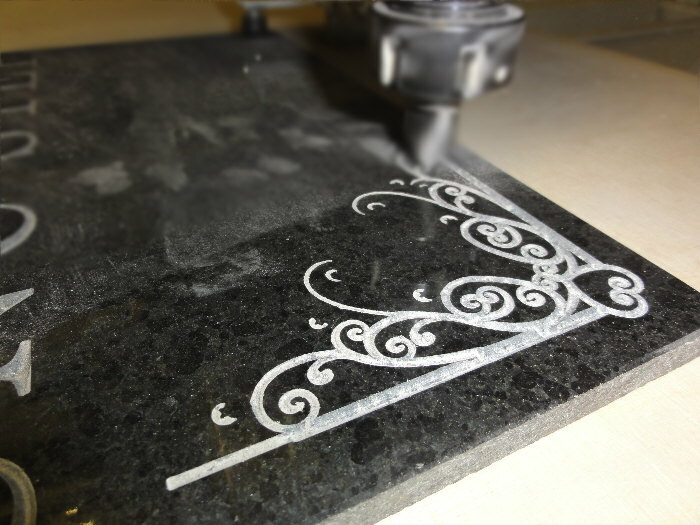 For all types of marble, soapstone, sandstone, slate, granite our CNC milling machine RaptorX SL is used. 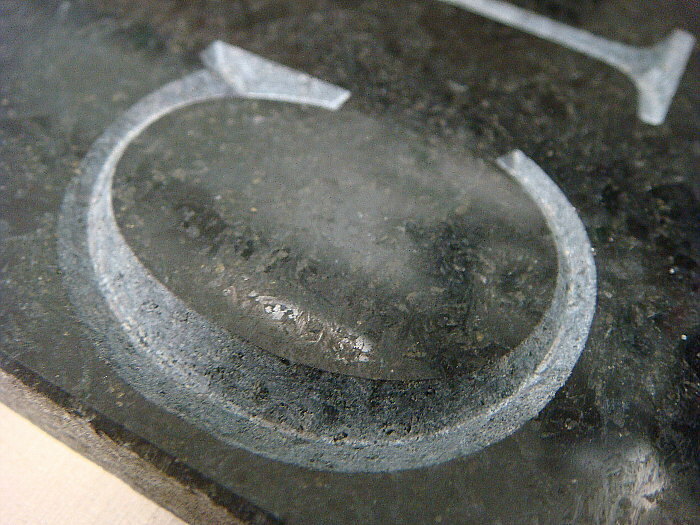 The results are clean and of very good surface quality. An additionally stronger version of RaptorX SL with special tours and even sturdier designed components is 1050mm available with the traversing size of 1200 x and costs only 17,990 Euro netto. This is exclusively designed specifically for processing a stone and steel. 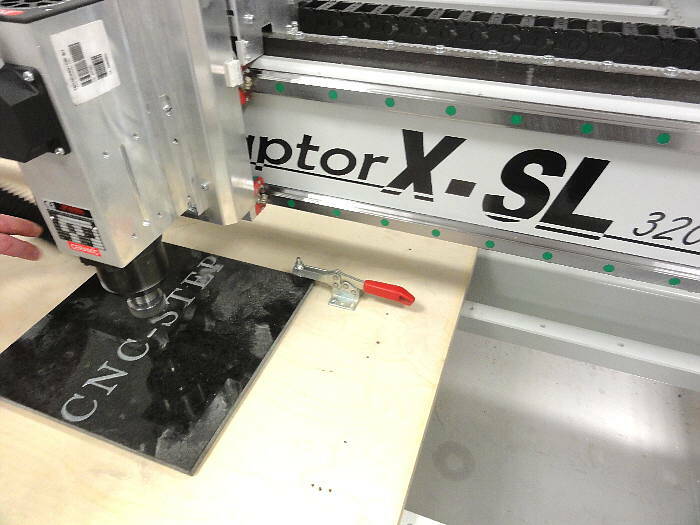 The CNC milling machine RaptorX SL is also suitable for 3D processing in wood or plastic. Corresponding videos can be found on additional websites. 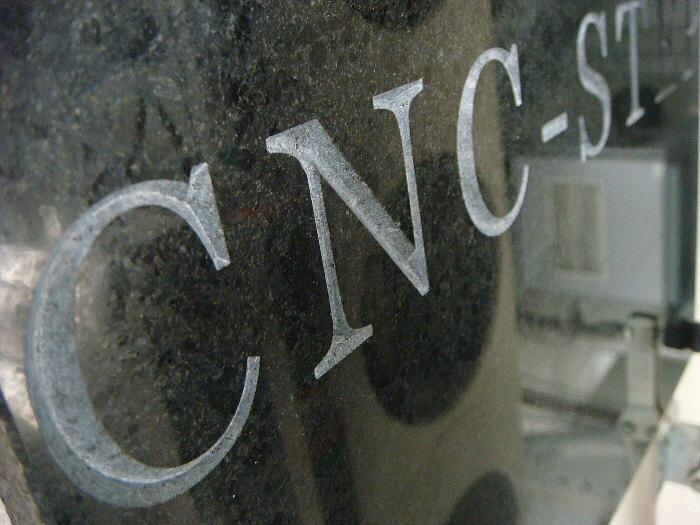 For engraving work in larger dimensions RaptorX SL the CNC portal milling machine / CNC engraving machine is also the right partner for your work. By creating a stable construction made of thick steel pipes and the large-sized drive motors, it is even able to work stone, marble, slate and granite.